I don’t know about you, but I could eat cheeseburgers all day, every day. Unfortunately, that’s kinda frowned upon, for whatever reason. This bright side of this calamity, however, is that I’ve been forced to get creative with my cheeseburger love. 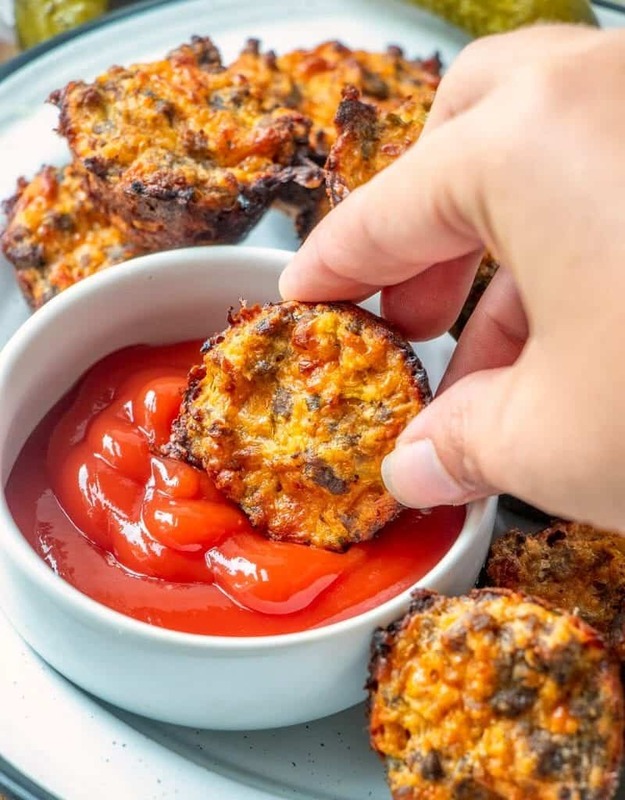 And in this case, I’ve created healthy cheeseburger bites than have all the delicious qualities of a cheeseburger in a finger food shell. 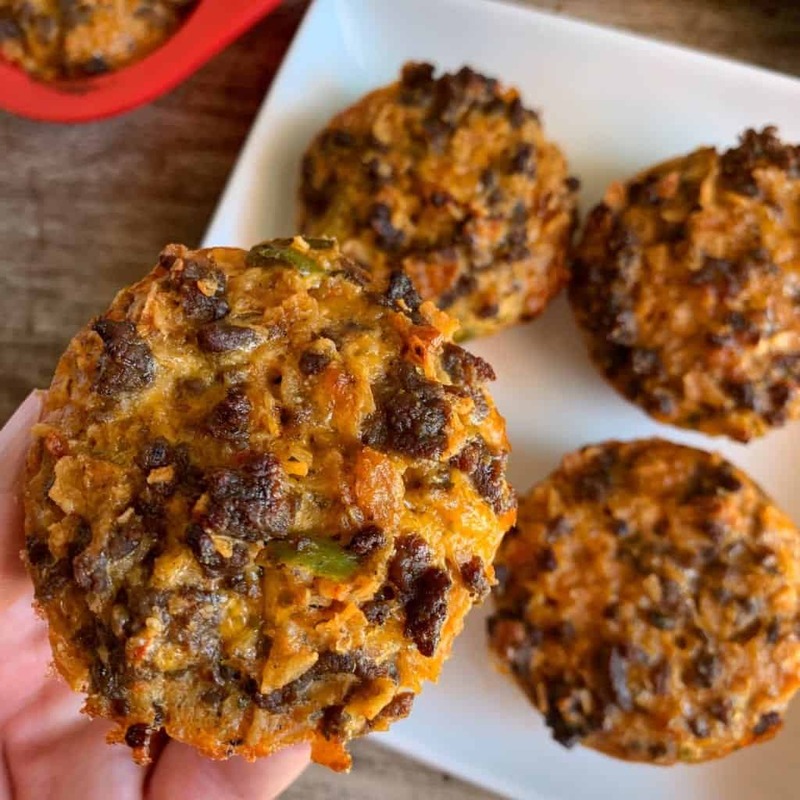 Since the world healthy means something different to every person, I’ll clarify that these cheeseburger bites are healthy in my book because of their low calorie and high protein content. This is a protein-focused food blog, after all. Each cheeseburger bite is the size of a mini muffin and contains 48 Calories, 6.8 grams of protein, 2.3 grams of carbs, and 1.3 grams of fat. 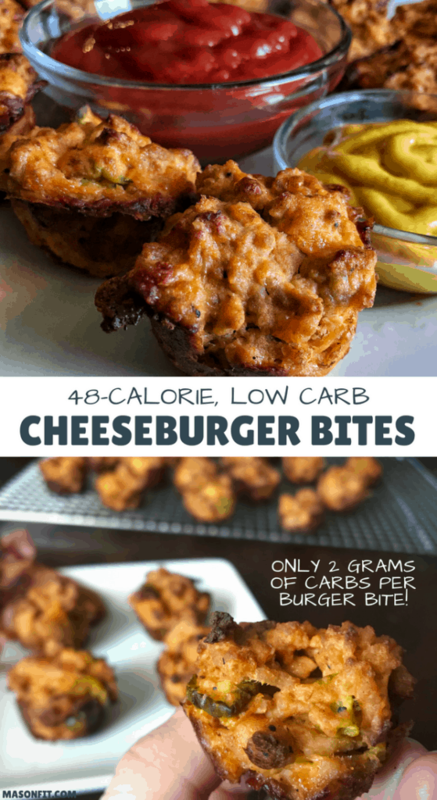 So, I guess these would qualify as low carb cheeseburger bites as well. You can see where naming my recipes gets tricky. Since nobody wants to read High Protein, Low Carb, Low Calorie Bunless Cheeseburger Bites, I’m sticking with healthy. You won’t need much for these cheeseburger bites. I’ll touch on the breadcrumbs and how you can substitute them below but first, I’d like to touch on the condiments that will make up your cheeseburger bites. The recipe calls for the standard ketchup, mustard, and pickle. If you want to leave pickles out, you can do so without needing to tweak anything else since they’re in limited quantity. On the other hand, if you want to remove the ketchup or mustard, you may need to add a bit more liquid or add some of the remaining condiments. As far as the meat goes for your cheeseburger bites, you can use any ground meat. The only note I have here is if you’re going to use a fattier cut of meat, you may want to reduce the egg whites in the recipe since you’ll have some fat run-off during cooking. If you go with a meat below the 85/15 mark, you’ll want to keep an eye to ensure no fat is at risk of dripping off the muffin tin. Now that I say this, it’s probably best to stick to a leaner cut of meat for this recipe. And I’m not sure if you can tell from the photo above but adding a few strips of diced bacon could be a nice addition. Check out the video below for a look at how easy these cheeseburger bites are to make. If you’re on desktop, it should already playing in your sidebar. 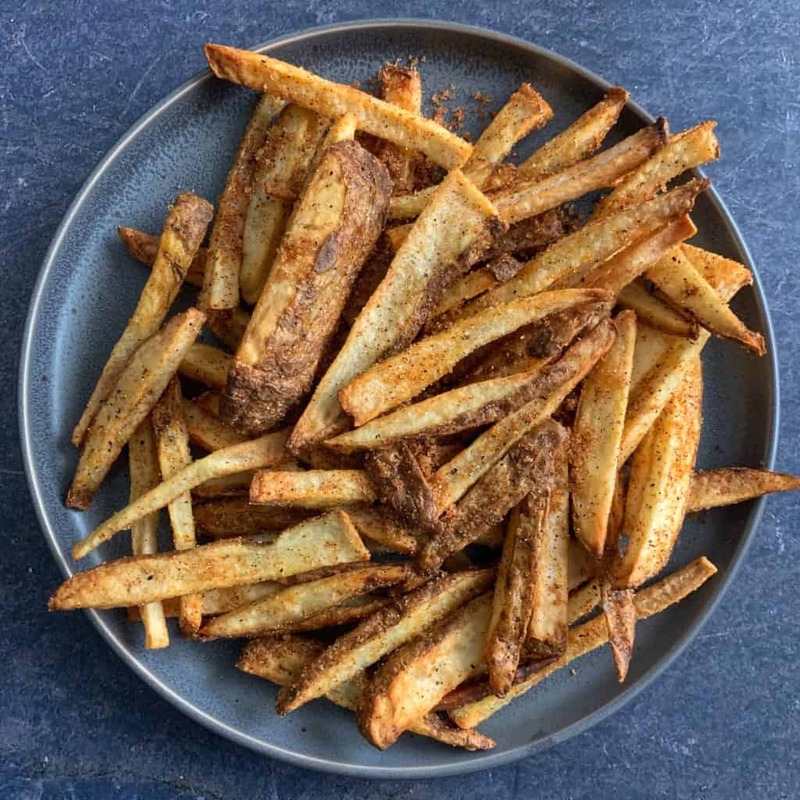 I’ll mention a few higher protein side dishes or appetizers below, but the first thing that came to mind was my Wingstop Fries recipe. If you’re unfamiliar with Wingstop fries, that’s okay. All you need to know is that they’re sweet, salty, and some of the tastiest fries you’ll find. And my version is a much lower calorie version that can be baked or air fried. 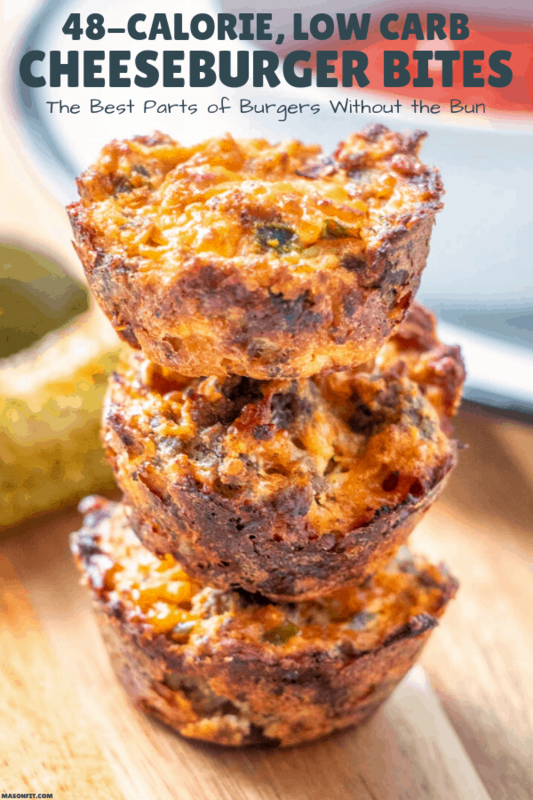 Want to make even higher protein cheeseburger bites? You could always swap the breadcrumbs for unflavored protein powder. 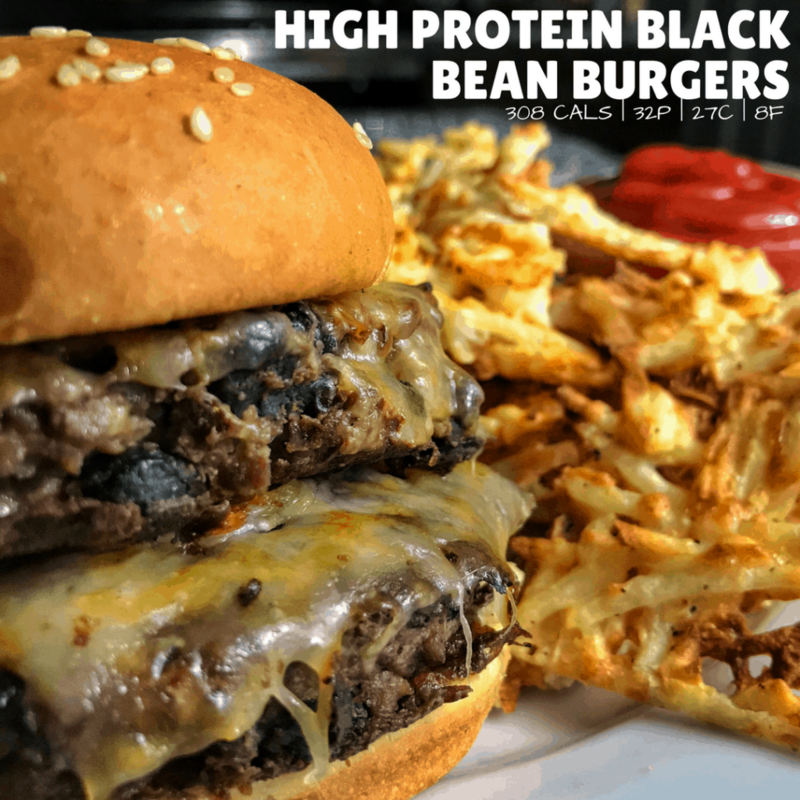 I made this swap in my high protein black bean burgers recipe, and people are raving about those! If you’re interested in using unflavored protein powder, I use Now Sports Whey Concentrate unflavored. All righty, that’s all ya need to know. When you try these healthy cheeseburger bites, I wanna hear about it. Take a picture of your creation and tag me on Instagram and I’ll be sure to share it with the world! I also appreciate feedback (good or bad) in the form of recipe reviews. Let me know how I can make this recipe or future recipes better. 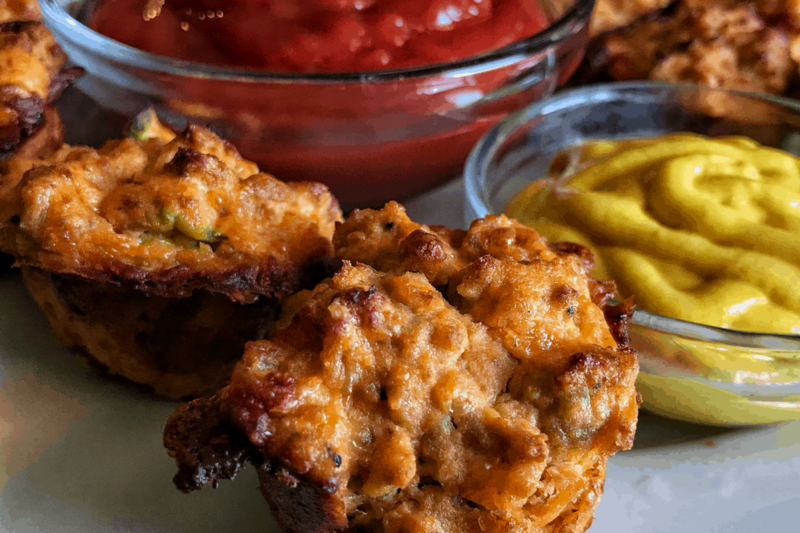 Enjoy all the best parts of a cheeseburger without all the calories with these cheeseburger bites. Preheat oven to 400F and spray a 24-muffin tin with nonstick cooking spray. Brown the ground beef (or meat of choice) in a large skillet over medium-high heat. While the meat cooks, mix the remaining ingredients in a large mixing bowl. After briefly cooling, add the cooked meat to the remaining ingredients, stirring until even. Spoon the mixture into the mini muffin tin, making sure to remove any excess between slots. Modifying ingredients may affect cook time. If the bottoms of the burger bites are still soft, extend the cook time by a few minutes. Be careful not to overcook (don't burn the tops). You can use any muffin tin you'd like but because people tend to ask, this is the one I use. If you're tracking your calorie intake, be sure to account for any additional condiments you top your cheeseburger bites with. 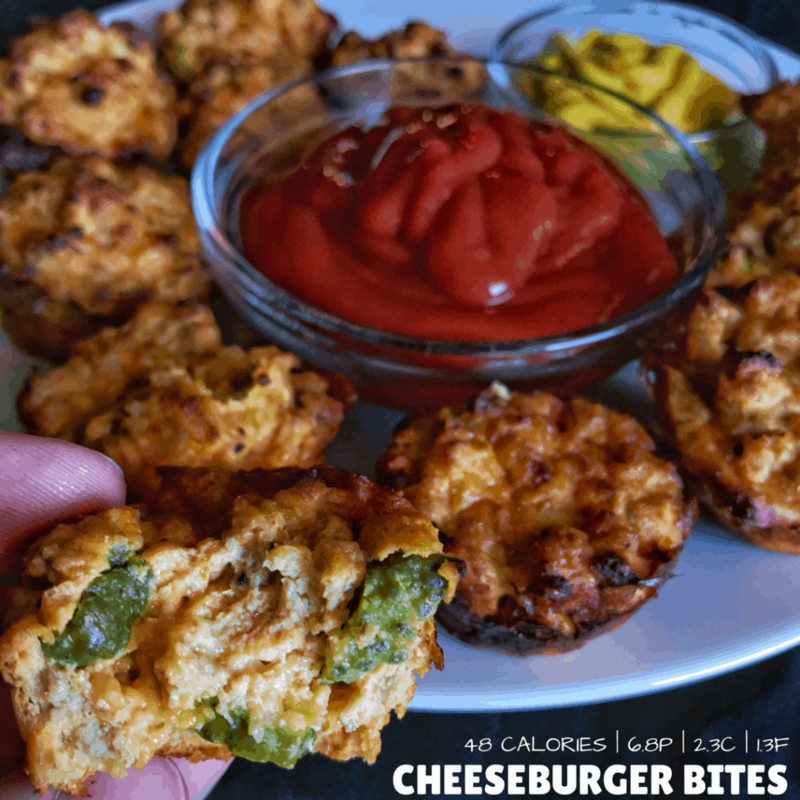 My low carb taco bites are a close second to these cheeseburger bites. 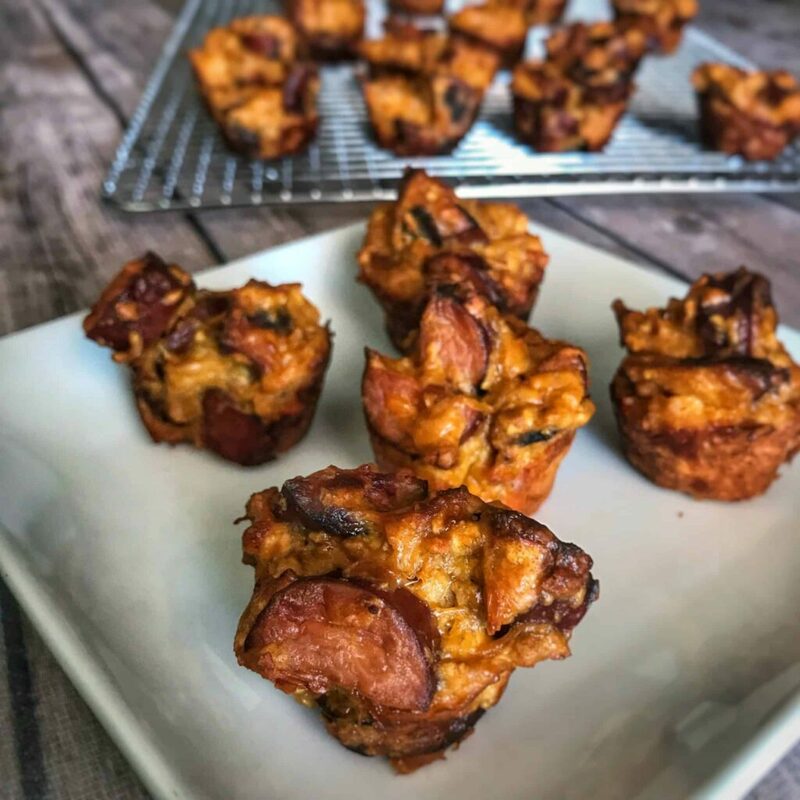 And if you’re a hot dog fan, you’ll love my pretzel dog bites recipe. I make these every week either for dinner or as an appetizer for a gathering! My go-to because they are low carb/cal and taste great! Thanks for the feedback, Jill! I’m always happy to hear someone is putting a recipe to good use. Yep! I’d let them thaw and pop in the oven or air fryer to get them a bit crispy again. Yeah, they’re good even just heated in the microwave, but probably better if you re-fry them. If I need to omit the breadcrumbs and the Parmesan, what could I used in stead? Crushed pork rinds maybe? Just the unflavored protein powder? Thanks! You’ll need something to provide the structure the breadcrumbs and parmesan would provide. I bet crushed pork rinds would work fine, but you may need a bit more if you’re comparing gram for gram. If you’re good with the cheddar, you could double up on that in addition to the pork rinds. Also, you could always scale back on the liquid ingredients to reduce the need for structural ingredients. Hope that helps! Made these with pork rinds instead of breadcrumbs and they were perfect! I did omit the mustard and pickles though, so not sure if that makes a difference. I would suggest cooking the beef to maybe medium doneness on the stovetop because they dried out in the oven. Totally up to you and how done you like your burgers. Thanks Mason for this recipe! So far these are my favorite of Mason’s recipes. I make them pretty regularly for lunches. Delish! These are a favorite of mine. I usually make a batch for lunch and use full size silicone muffin cups and they pop right out. I’ve also made this using cheddar and bbq sauce instead of the ketchup, mustard, and parm (really just throw in whatever i have in the fridge) and they were awesome! So… I got ahead of myself and didnt cook the beef first. I’m so used to making meatloaf for my family… Hoping they turn out fine. Using the mini muffin pan so they are pretty small and shouldn’t take long to cook. Hands down this is a kid friendly, family favorite! They were super easy to make and my kids devoured them! These were super easy to make. My kids loved popping these in their mouths. It’s a great item to pack in their lunch boxes too. I will double or triple the recipe next time to have leftovers! I made these for the first time a couple of weeks ago, and they are amazing! 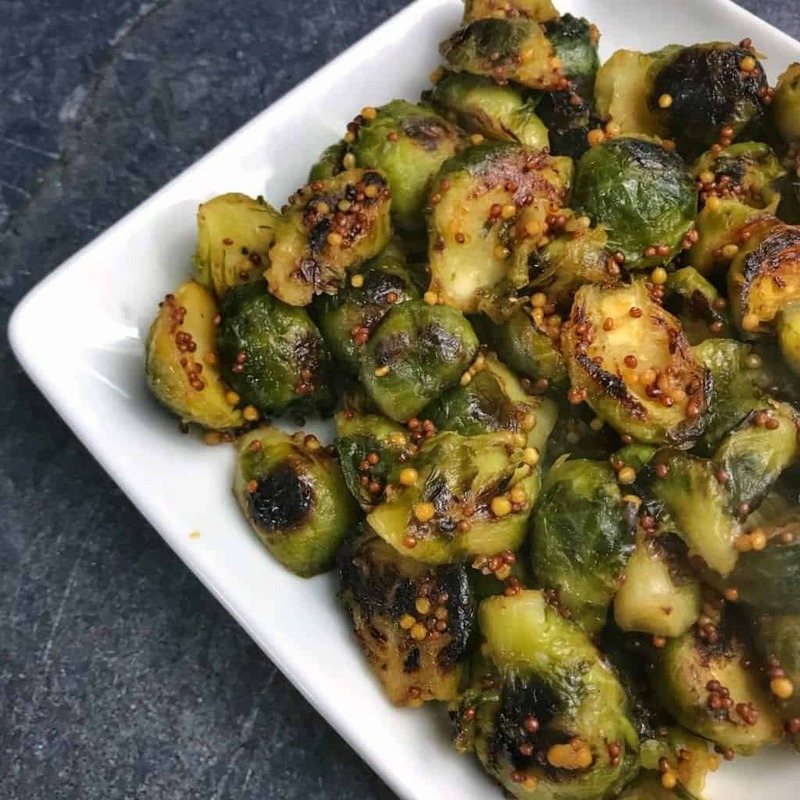 I’ve been looking for some easy macro-friendly recipes that I can make once a week for my protein boost and these fit the bill. I even got compliments from my wife on the flavor! Definitely will be using this recipe again! I love, love, love these cheeseburger bites! 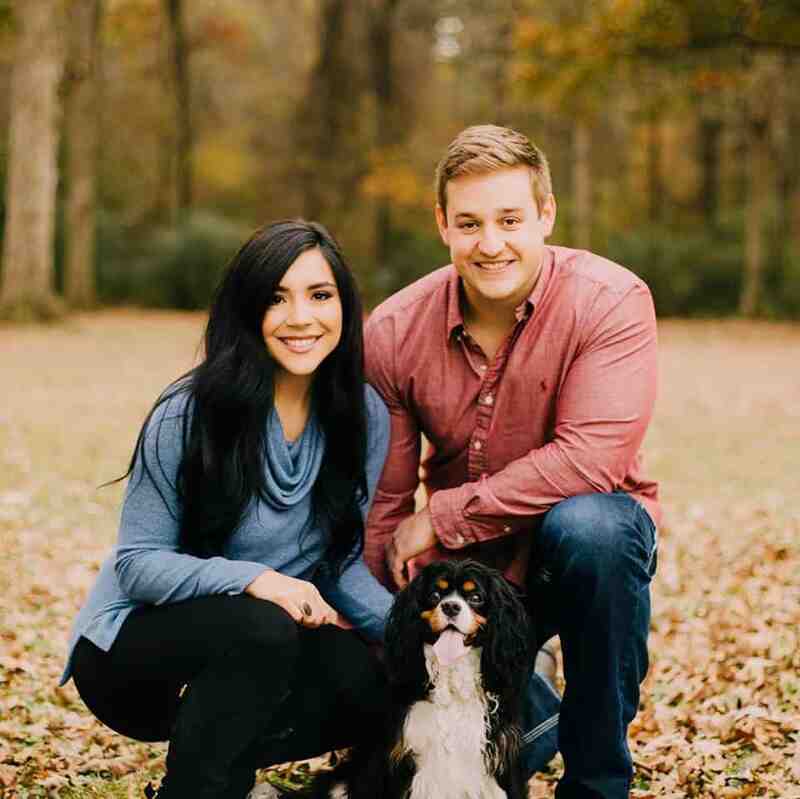 They are a hit with the whole family. I always make a triple recipe so I can share with the guys at the gym too. They are so easy to make. Great for a quick snack or make a meal with a salad. My family loved these. Our kids are in a lot of activities so I assembled this in the morning and had them in the muffin tin and put plastic wrap over the top and the only had to pop it in the oven at night for a quick meal before basketball practice. Great for left overs as well!!! These will be in a normal rotation at our house!!! This is quite possibly my favorite recipe EVER! Everyone I make it for loves it too – it has become something I make at least once a month! Plus, you can even throw it in a casserole dish if you’re in a hurry and not wanting to fool with a mini muffin tin. Win win! This is my all time favorite recipe of Mason’s! I now make these weekly and have tried a few different combinations. However—My first try was a semi disaster but they actually tasted ok after I chipped them out of my old school steel mini muffin pans. I originally used Quest Protein multi-purpose baking mix instead of the bread crumbs and this was a huge mistake! Apparently protein multi-purpose baking mix is NOT the same thing as unflavored whey protein powder. Lesson learned—I literally had to throw the pans away because they were never coming clean again. Next I bought new silicone mini muffin pans and my life changed! Using the new silicone muffin pans, I’ve been making them regularly with either ground beef or ground turkey using NOW Sports unflavored Whey Protein powder instead of the bread crumbs. The ground turkey does not produce the true cheeseburger flavor but they are still tasty. 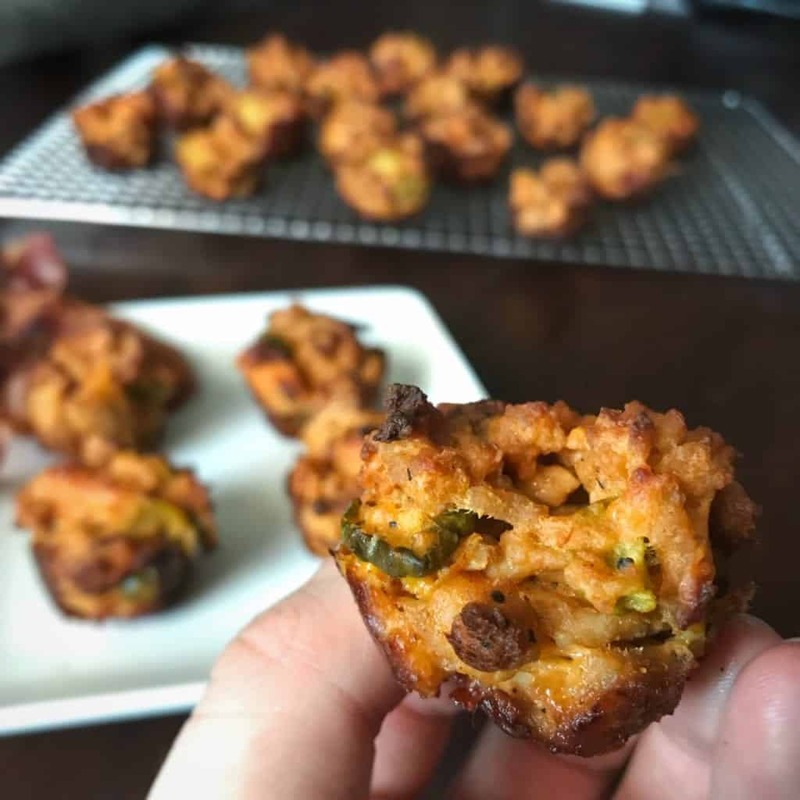 These bites are really delicious & an amazing snack with great macros! My whole family loves them!!! These are by far my favorite recipe! I was skeptical at first cause I love a good burger. How can these be even close?! But take my word they are the best. Super easy to make, my husband makes them and he is the type of person that could burn water. If we have leftovers and I take them to work everyone asks what they are and for the recipe. We add spicy pickles to give it a little kick and some extra flavor. I FINALLY made these for the first time this week and they were amazing! Such an easy recipe to make for quick week night dinners. I can’t believe how much they tasted like an actual cheeseburger! I have made these a few times and they’re awesome. Just be careful not to use some mega cupcake pan or you’ll have gigantic bites like I did the first try. Literally every recipe on this page is awesome. I try at least one of Masons recipes a week and haven’t been let down yet. Made these last weekend and this is where I replaced the breadcrumbs with almond flour. They only have 0.5 net carbs per bite. I found them a bit dry but I’m sure it was due to replacing the bread base in it. Going to try them again using breadcrumbs and see the difference. Thanks for the recipe! My favorite recipe so far! Satisfies the cravings for a cheeseburger! I did sub bread crumbs with the protein powder and it worked out great! Didn’t taste the powder at all. Texture was great! I made these for my meal prep and they reheat very well too! I made these for dinner and my whole family loved them. I have 3 boys that are very picky eaters and they all agreed to make them again! I really want to try these. However I am wary because I dont like eggs. Do they taste eggy or smell like eggs? Thanks! Could you use vital proteins collagen powder instead of unflavored protein? Just trying to use what I already have. These look delicious! I haven’t tried this one personally with collagen, but I’ve seen others make my recipes that call for unflavored protein with collagen successfully. Also, you don’t need either for these unless you’re wanting to add extra protein. I don’t think you’ll be able to roll them into balls in their raw form. You could always bake it as a casserole if you have a larger baking dish, though. Hope that helps! What are the macros for a full size muffin pan? Still trying to to figure out macros on everything! If you make 12, each muffin would have double the macros of the original with 24. I never leave reviews, but I feel a huge need to leave this review. WOW. wow wow wow. Doesn’t even begin to cover it! I was feeling super bored with my typical healthy dinners and wanted to spice things up. This is hands down my new fav. Amazing! Much better than ordinary cheese burgers!